Boiling and chilled, sparkling, hot and cold. A true 5 in 1 system with twin taps. A simple adjustment allows the chilled water temperature to be raised to 15 C or lowered to 6 C for perfectly chilled refreshing drinks, with your desired temperature being quickly reached and maintained. The boiling water temperature is adjustable but leaves our factory set at 98.5 degrees C - for brewing the perfect cup of tea. The system is designed so that there is no temperature decline in periods of high demand. Adjustable carbonation to suit the users taste. Can be used with either disposable or refillable CO2 cylinders. The Quadra Plus Sparkling takes away the requirement for a second under counter boiler for the sink water. By utilising a special Billi sink mixer tap, the water for hand or dish washing is provided in addition to the boiling and chilled tap. Billi does not manufacture a single tap system with all these features. This is a corporate decision on safety grounds. Where there is a single tap producing both boiling and hot water, there is always the possibility of a new or uneducated staff member inadvertently washing their hands under near boiling water. For this reason we always recommend a boiling tap is installed over a drainage font, apart from the sink. Replacement filters and 600gm CO2 cylinders can be purchased from one of our approved merchants, or direct from Billi. Why choose the Quadra Plus Sparkling? A 5 in 1 multifunction system. 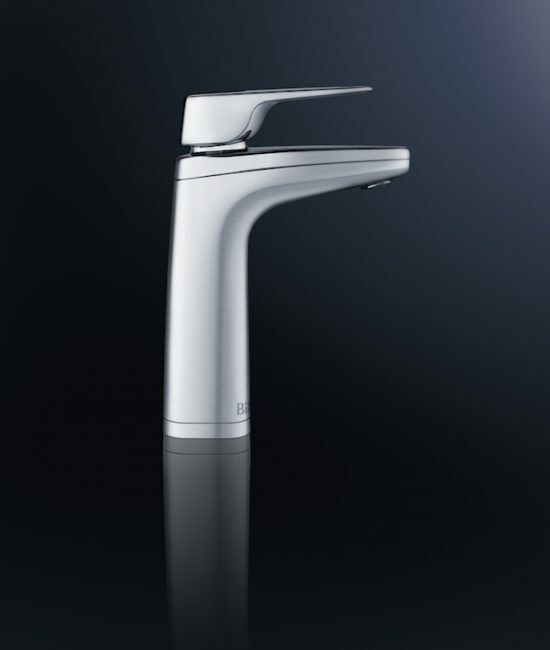 Dispensing boiling and chilled water with sparkling too, in addition to normal temperature-limited hot and cold water from a matching Billi sink mixer tap for washing up over a sink. 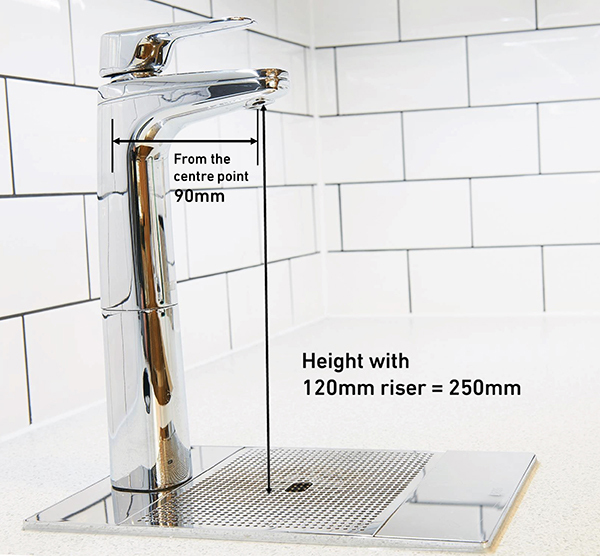 The stunning XL tap will dispense boiling, chilled, and chilled sparkling filtered drinking water by using just two levers and a matching finish sink mixer tap provides for all the hot and ambient sink water requirements. Choose from a pin-type mixer or gooseneck mixer. We always recommend that a boiling tap is mounted away from the sink, simply for safety’s sake. Whilst all Billi taps have a safety lock to prevent inadvertent dispense of near boiling water, it has been known for a user to try to wash their hands under it. Moving it over its own font does give a visual reminder that the tap is for drinking water only. Billi has achieved one of the lowest carbon footprint on the market using carefully chosen components at its Australian manufacturing plant. All Quadra Plus Sparkling systems also include an energy saving standby mode that can be selected to activate after a preset time of non use, enabling partial power down to conserve power. The new generation sparkling systems have greatly enhanced performance, coupled with a reduction in the under counter unit size. 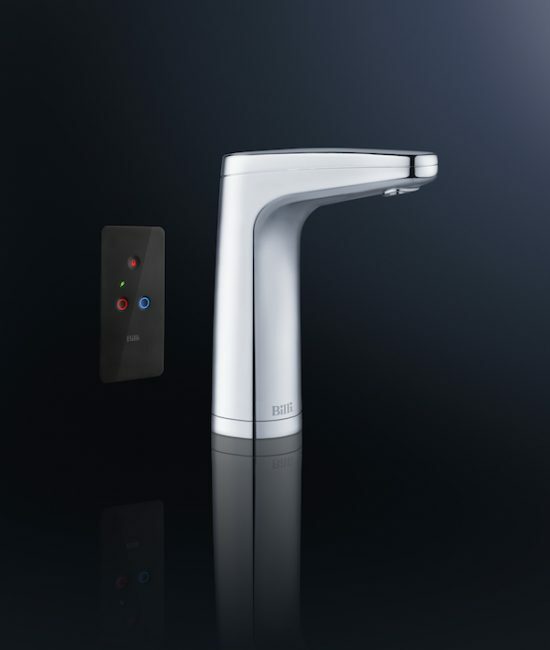 Save space, save energy and save time with a Billi tap in your facility. Billi’s Boiling, Chilled and Sparkling XL dispensers are now available in an unprecedented range of options. We created the new dispenser technology after collaboration with designers, engineers and end users. 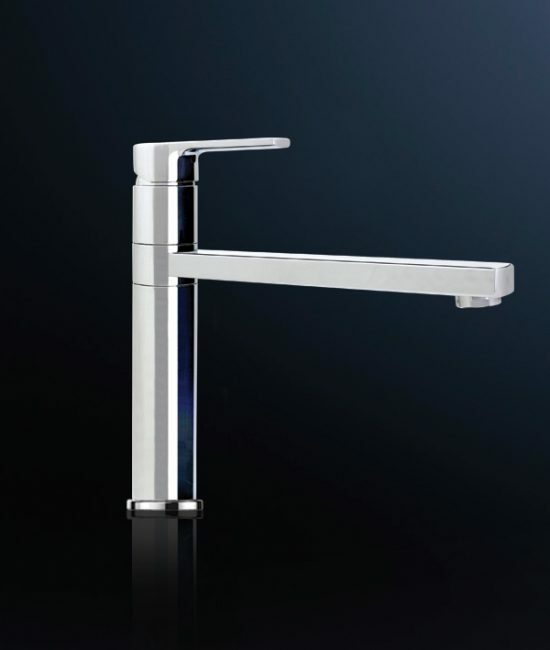 Consisting of four stylish finishes and a corresponding font, the tap range provides a clean but sophisticated look. Standard off the shelf finishes include bright chrome, brushed chrome, gloss black, matt black, weathered bronze and rose gold. The range of stocked colours is being expanded throught the next 24 months. Choose a dispenser from our standard XL Levered range. 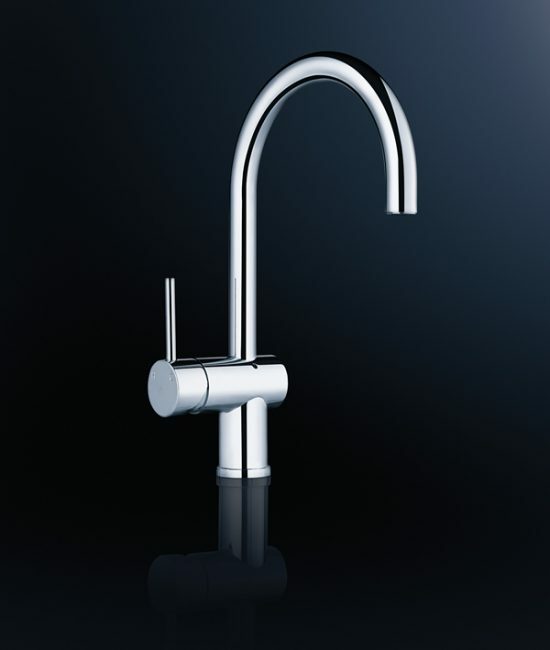 Available in chrome, brushed chrome, matt black and gloss black with matching font and mixer taps. 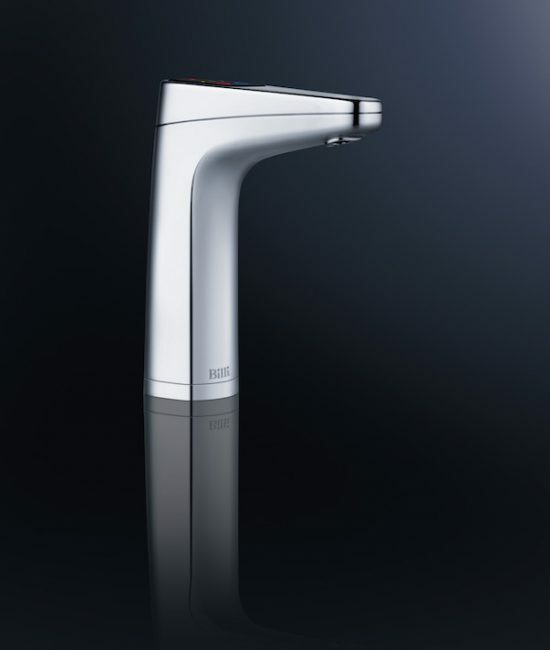 The mixer tap as standard is a pin-type, and as an alternative we do offer a gooseneck design. If the dispenser is to be mounted away from a sink, choose our XI Font. The ultimate in modern clean styling, it can be either surface mounted or recessed into the bench top for a completely flush mounting. The font comes complete with a dispenser riser to ensure sufficient clearance. A dispenser riser can be added separately to create extra clearance under for tall jugs and pots. There are two dispenser riser heights available for the XL dispensers. Select either 120mm & 70mm risers to achieve 250mm or 200mm dispense height. Where do I buy CO2 cylinders, and how long do they last? Billi stocks the 600gm disposable cylinders and they be ordered by calling us on 020 7457 6789. Depending on the level of carbonation selected, these can last between 250 and 400 cups. If usage is very high it may be more economical to rent a refillable bottle direct from BOC or Air products. There’s no room left under our sink. Can a Billi water filtration system be installed in the next cupboard? Absolutely. In fact your dispenser can be installed up to 2.0m from its under counter water filter. Remember, there may be a boiling water delay with a long extension. How often should I replace my under counter water system filter? We recommend a new filter at least every 6-12 months, depending on usage and water quality. Do I need to buy special filters for my under counter water system? Yes. You should always use the correct filter for your water system. Call us to order on 020 7456 6789. Do water filtration systems get blocked? Our boiling water flows well but cool just dribbles out. Yes. As filters catch contaminants, they become soiled. Billi under counter water systems use mains pressure, so reduced chilled water flow indicates you should change filters. Why do the red and blue lights flash on the tap? The indicator lights tell you what’s going on. Flashing red means boiling water hasn’t reached 99°C yet. Flashing blue means water hasn’t chilled to set temperature. Both lights will glow solid when this happens. How do I know when to change the under counter water filter? The orange light will flash continually when your water filter needs changing. My dispenser blue light is on but the water system is not chilling. The under counter chilling unit may need a minor service. Change filters before calling a technician. I don’t have boiling water and the dispenser red light is always flashing. The heating element may have blown or overloaded. Call us on 020 7456 6790 for engineer assistance. Why is there is a strange taste to the drinking water from our undersink filter? Contaminants collected in your under counter filter become concentrated when filters reach the end of their life and can affect water taste. Ensure that the filter is replaced at least every 12 months or 6,000 litres, and preferably twice a year. Do you have a drainage tray? We’d like to install a Billi unit in the boardroom but there’s no sink. Yes. The Billi XI font is available for this purpose in a finish to match your filtered water dispenser. How can I tell if my Billi unit is on or off? If the Billi dispenser lights are illuminated, your water system is on.